Standard on late model automatics. Gawd, more tail light fins..
Those cars are really beautiful. Well to my eyes. $50 mill next week how long before I find one to buy and can get it back to Australia? Mate, with your shed and collection of body shells plus spares you could build one..
Don't think so. I'm definitely not in your league. Anyhow my Fregate is original and perhaps in bits but they are all there. Now if the rusty parts car wasn't so rusty perhaps. Are all these dash knobs the same size Sunroof..? Yes just slightly larger than the one I showed you yesterday. It seems to have shrunk a little bit. But as you can see there are quite a few. The white one seen through the steering wheel looks like a ring in. It is possibly the pull type starter knob and the original has broken off. I'll make you a set after Christmas. 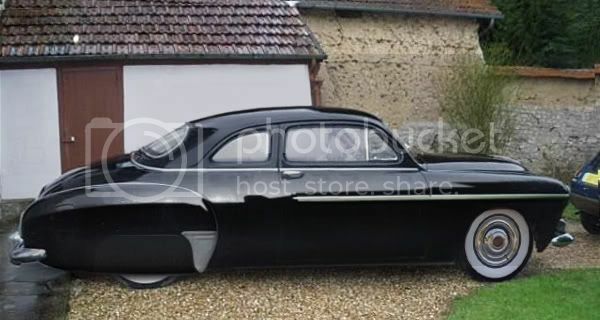 A Fregate really lends itself to being slammed and restomodded, though I'd use a Nissan V6 and try to retain the flat floor and RH column gearshift. So for those projects it is much better starting with something solid that has been painted with a mop and with friable sunburnt trim rather than spoiling something that is already neat and well maintained, in effect saving a car that would likely have been crushed. You can rebuild any car numerous times, but they are only original once. And it is always nice to see original survivor cars that have been lovingly maintained since the day they left the factory many years before. As well it is always great to see the results of a well executed and engineered modification. I really like that. But like Simon said a nice original car should be kept original. But a bit of a rusty wreck can be modified however much you want. And I have done that myself. But as has been said many times before, if you own it you can do what you damn well please with it.